Syria Civil Defence, also known as the White Helmets, yesterday issued a statement on the current talks in Riyadh, Saudi Arabia, in which they called for the implementation of international resolutions to be given priority over more talks. First protect civilians, because only then will a secure peace be possible. 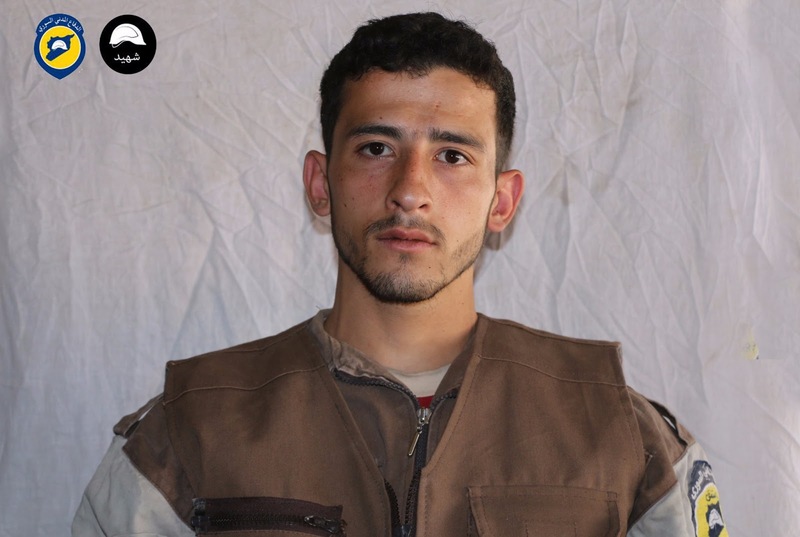 Right: Alaa Addin Juha, Syria Civil Defence volunteer killed on Sunday 19 November by an Assad forces’ cluster bomb attack in the town of Hamouriya, part of the besieged Eastern Ghouta area in the suburbs of Damascus. 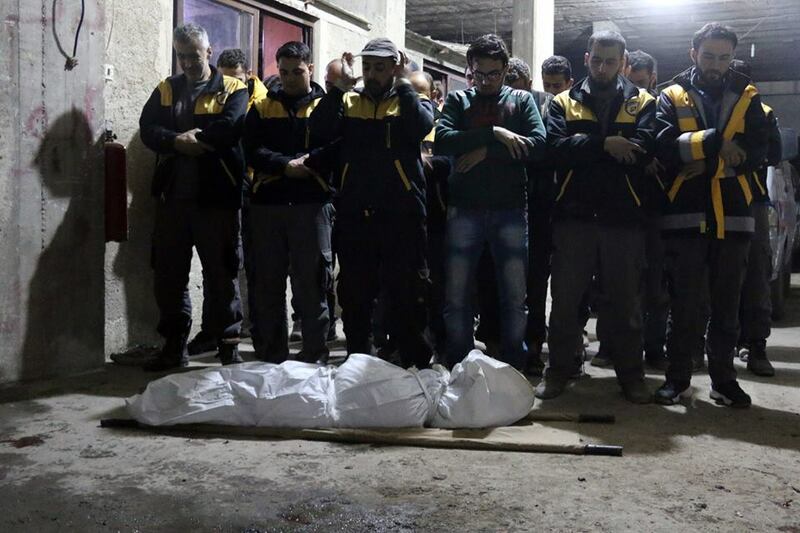 Above: The funeral of volunteer Alaa Addin Juha. Syria Civil Defence—The White Helmets—received an invitation from the Ministry of Foreign Affairs of the Kingdom of Saudi Arabia to participate in an expanded meeting of the Syrian opposition in Riyadh on the 22nd of November 2017. Syria Civil Defence extends its thanks for this generous invitation from the Custodians of the Two Holy Mosques. We appreciate the efforts taken by the Kingdom of Saudi Arabia and all Arab nations and friends of the Syrian people in order to advance the peace process and reach a just solution to the Syrian issue. 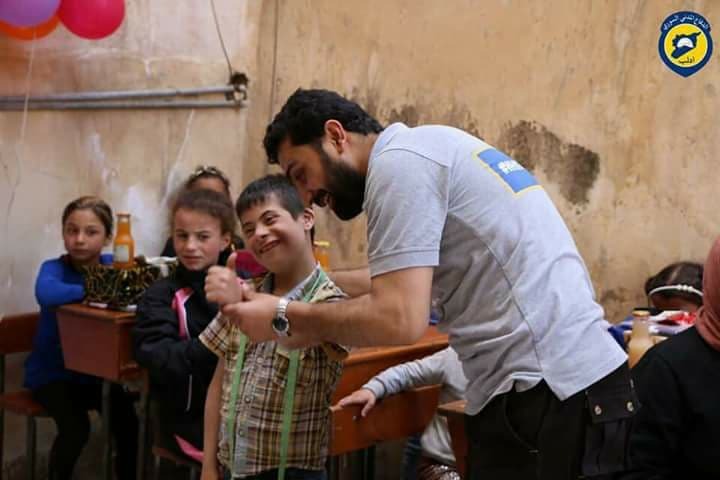 Syria Civil Defence believes in the essential role of civil society organisations in defending the rights of victims and that these organisations have the right to monitor the political sides and to contribute to the formulation of a national vision. The Syrian Civil Defence was born out of the suffering of Syrian civilians. We are committed to all civilians, without bias and without political affiliation. We do not consider our organisation an opposition group in the political sense. 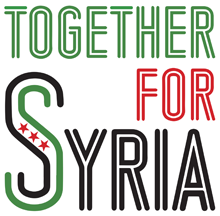 It is an independent civil society organisation serving all the Syrians in need, without any agendas or political ambitions. We see our cause as a national humanitarian issue. We maintain a well-known position against the terrorist crimes committed by the Assad regime and its allied sectarian militias and the crimes of the Islamic State. This is not a political position, but rather a moral one which obliges us and every other honourable person to stand with innocent victims against all those who violate their rights, whatever the perpetrators’ political, sectarian, or ethnic stance may be. We have stuck by the Syrian people with our work on the ground throughout all of these painful years of war, throughout all of its scourges which we have witnessed and the martyrs and the injured we have lost, just like all other oppressed Syrians. We do not believe what is happening is a conflict between loyalists and opposition that can be resolved by sharing power between these two parties. The real conflict is about the right of the Syrian people, all Syrian people, to live in peace and dignity in a free unified Syria. 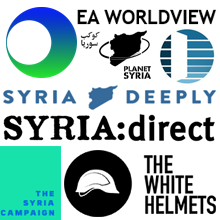 We can assure all sponsors of peace talks that the Syrian people generally no longer see the use in new initiatives, bodies, platforms, and conferences claiming to be representative, particularly in the absence of any serious commitment to implement international resolutions on the ongoing violations. This particularly applies to the Assad regime which feels immune from accountability even in the face of the Commission of Inquiry which has confirmed the regime’s involvement in the use of chemical weapons, torture, siege, and forced displacement. The Syrian people do not need a new round of peace talks or new bodies every few months. Their demands are not numerous, vague, or complicated. All they hope for is to live in peace and dignity in their own land. This will be achieved primarily through the implementation of international resolutions, particularly the Geneva Communique and Security Council Resolutions 2118 and 2254, instead of wasting time establishing new frameworks and negotiating around details that do not represent the priorities for the Syrian people today. We believe in a political solution and the need to exert all possible efforts toward advancing the peace process in Syria. However we call on all Arab nations and friends around the world not to allow conferences or political disputes to distract from the daily suffering of the Syrian people. The bombing continues in many areas. The so-called de-escalation agreements are selective and seem to be purely tactical, related to military interests and laying the groundwork for humiliating forced displacement. Sieges continue in more than one area, and in particular in Eastern Ghouta where civilians face a real humanitarian catastrophe. And above all this, tens of thousands of detainees and forcibly disappeared people continue to face systematic torture without any progress on their cause. Based on the above and after consulting with Syria Civil Defence teams operating across our wounded Syria, the organisation’s management has decided not to participate in the Riyadh Conference and to remain by the side of its members and the people of Syria. God save Syria and its people. 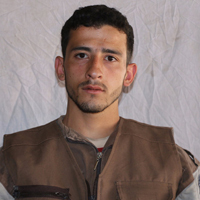 White Helmets rescue volunteer Omar was shot and killed in Idlib City on his way to work, Syria Civil Defence announced yesterday. The identity of his killer is unknown.